Why does Riverdale's Archie have so many Canadian band posters? Who knew Riverdale's Archie Andrews was such a huge fan of Canadian indie music? Artists from Vancouver's Mint Records are thrilled to fill the Riverdale universe. There's a scene in Riverdale — the new hit Netflix series that reimagines the lives of classic Archie comics characters — where Archie is sitting in his room suffering an existential crisis. He wants to play football and play music but is having a tough time straddling that line between jocks and artsies. Guitar in hand, he begins to play, all the while staring at a poster on his wall for, presumably, one of his favourite bands: Heaven for Real. Riverdale may exist in an alternate reality, but Heaven for Real is, well, very real. The members of the garage rock band from Halifax, which is on famed Canadian indie label Mint Records, couldn't believe it when friends told them about the scene. "I mean, Archie's music is so lame," says drummer Cheryl Hann, laughing. "We were joking about how in the scene — which we all have watched — he's writing a song while pretty much looking right at our band poster. He's feeling so inspired! And we started to feel a bit guilty, like, is this the type of music we inspire?" It turns out Heaven for Real isn't the only Canadian band that the famous redhead, first introduced in 1941, follows. His bedroom is full of posters from Mint Records, a label based in Vancouver, where the show is shot. "We sell posters to a lot of TV shows and movies that are filmed out here in Vancouver," says the label's manager, Ryan Dyck. "A lot of set decorators know us and will ask for rock posters for a rock club, or there are a lot of requests for a teenager's bedroom, so a lot of our posters end up in teenagers' bedrooms on TV." The cover for Vancouver band Cub's album Betti-Cola, illustrated by Archie comics cartoonist Can DeCarlo. 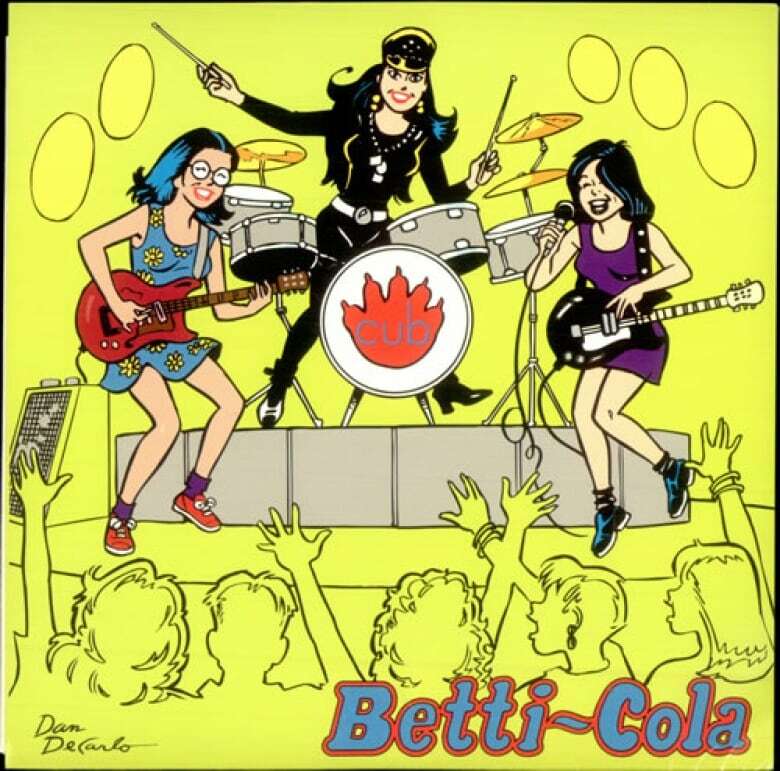 Coincidentally, the Mint Records/Archie connection goes back to 1993, when the group Cub commissioned Archie comics illustrator Dan DeCarlo to do the artwork for their album Betti-Cola. Today, the entire Riverdale universe is full of posters from Mint Records artists, including Supermoon, Jay Arner, Faith Healer and Toronto punk band Tough Age. In episode 1, Tough Age's poster prominently appears right above Archie's bed. 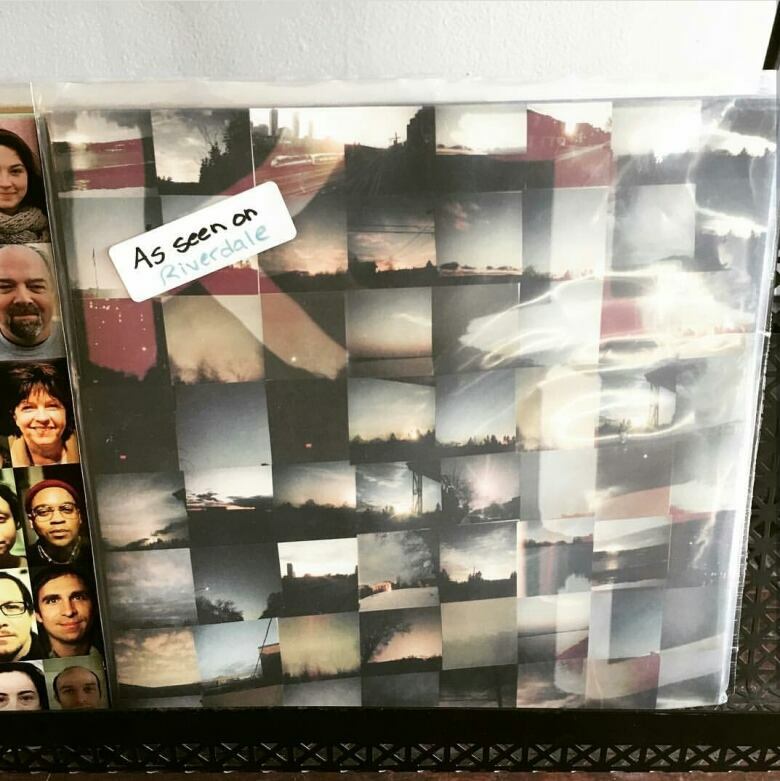 The band first learned about it while playing a show in Ottawa when a friend sent them a screenshot. "There's Archie in his underwear with a Tough Age poster and it just made my night," says Tough Age's Jarrett Samson." As it turns out, Samson is a massive Archie comics fan, and the band now religiously watches the show. Samson even works at Toronto comic book institution The Beguiling, collecting rare Archie comics when he can. "I even have the Jughead punk issue, which took me a long time to track down," he says, adding that the band also printed T-shirts featuring the cartoon band The Archies as crust punks. The fact that Tough Age's music does not necessarily fit with Archie's tortured teen, emo style of music doesn't bother him in the least. "I didn't know we were so singer-songwriter," he says. "Right now I'm just really obsessed with how we fit in with the continuity of that alternate universe. Maybe we're a different band in Riverdale. Maybe we're like Jack Johnson? All I know is that in the world, there is an idea that Archie Andrews likes my band. Even if it's fake, I don't care." While both bands say it's too soon to tell if they've received an actual sales boost based on their placement on such a popular series, they're enjoying the moment – whether they're fans of the show or not. "I want to like it, I really do. I even taught myself to read using Archie comics," says Hann, adding that Heaven for Real is at the very least enjoying the irony. "We've gone into some shops that sell our records and have been placing 'As seen on Riverdale' stickers on our albums, and encourage people to make their own stickers as well," she says. "I think it appeals to our actual fanbase, the irony of it all. It's a fun joke to share." Riverdale returns to Netflix March 31.